Critchley Hackle Lodge is located in the tranquil little town of Dullstroom, which is a Trout fisherman's paradise with Rainbow Trout being a worthy opponent. 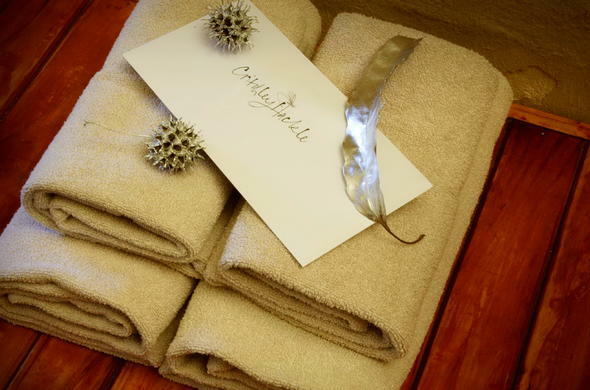 Critchley Hackle is a Mpumalanga lodge in the beautiful, quaint and peaceful town of Dullstroom, which has sprawling farms, Trout rivers and dams, and has a distinctly Scottish theme. Built in pointed stone and set around a beautiful garden lake, the setting is breathtaking. Sip a vintage wine in the bar or enjoy fine dining by candlelight to the sight and sound of water flickering in the night. Trout fishing, clay pigeon shooting, falconry displays and of course shopping in Dullstroom are just some of the activities that can be enjoyed at this Mpumalanga country lodge with your family.